We are running a limited time promotion with 10% lifetime discount! VisualWebTechnologies is a world class Cheap Web hosting India, Best web hosting in India that provides web hosting solutions of all types. 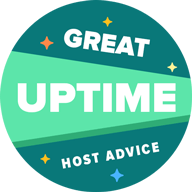 Our best web hosting Save your time & money effort needed to manage your web hosting by letting our expert staff take over. We believe in offering nothing but the best when it comes to service and server performance. Get web hosting solutions that are simple, powerful and reliable.Our Linux hosting plans are the ideal choice to host PHP and MySQL websites such as Wordpress, Drupal, Joomla, osCommerce and several other such open source scripts. All these scripts can also be instantly installed with a single click using the Softaculous script installer.